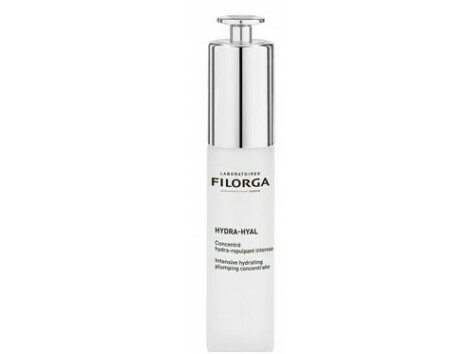 Hyal Filorga Hydra-Replenishing Moisture Intensive 30ml. 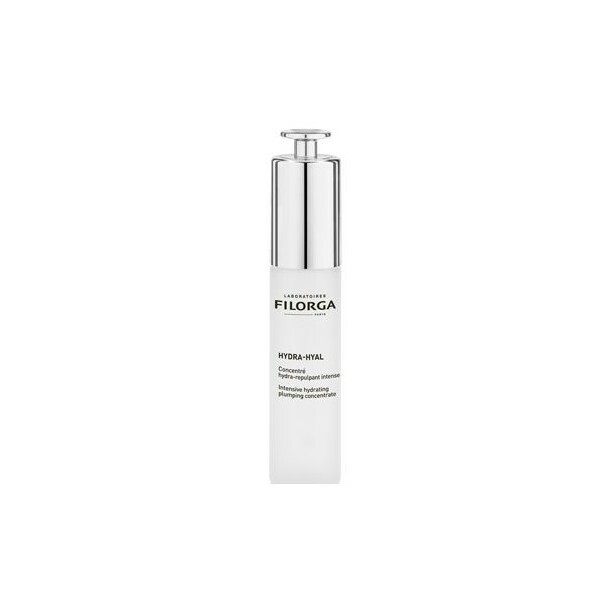 Filorga Hydra-hyal is an intensive moisturizing concentrate filler. Use the effectiveness of ultra concentrated hyaluronic acid to hydrate skin intensively. - Moisturizes, softens and redensifica: 4 hyaluronic acid penetrate the heart of the skin to hydrate, smooth texture and redensificarla instantly. - Pro-youth effect: plant stimulators promote the production of hyaluronic acid in the dermis and epidermis to reconstitute the natural reserves of the skin lasting. - Brightness: an epidermal renewal combined with revitalizing NCTF® complex gives the skin its freshness and radiance. The skin, intensely moisturized, immediately regains its radiance and brightness. After 14 days, the fine lines caused by dehydration are visibly reduced. It is applied as treatment daily, morning and evening, before the day cream or night. Similar to hyaluronic acid, silky finish, non-sticky texture.